The Zodiac’s perfectionists will not let anything slide. You are very methodical and pay a great deal of attention to details. Virgos are the type to plan ahead to avoid careless mistakes. The last thing you want is to be caught off guard and lose control of any given situation. So let Virgo horoscope 2017 help you prepare for the coming year. 2017 is the kind of year that Virgos look forward to. According to Virgo Horoscope Predictions, 2017 will be filled with opportunities and breakthroughs. However, the road to success will have stumbling blocks. Do not worry because you will able to rise to any challenge. This year try to be more flexible so you will not miss out on new opportunities in love, life and career. Virgos have a very structured approach to everything.It will do you good if you try methods outside your comfort zone. Take risks, trust in your abilities and stay confident. Virgo Love Horoscope shows that it will be a very favorable 2017 for those searching for love. Single Virgos will be in for surprising twists. It will be romantically unpredictable so get ready for an exciting year in the love front. It’s not the time to nitpick, just go with the flow and allow your heart to dictate the direction you’ll take. Trust that the universe will work on your happiness by finding the one destined for you. Virgos who are currently involved or married will have their ups and downs but all will be well before 2017 comes to an end. Relationships will be tested during the second quarter of the year. Be wary of being too critical. Words can wound so remember if you have nothing nice to say, don’t say anything at all.Try to be more affectionate to your partner. Don’t stay too late in the office and miss out on many important occasions. Balance your time for work and love. Virgos are destined to go places in 2017. You just need to calm your nerves and resolve to leave your worries behind.If you are looking for a job, start sending out resumes because there’s a great chance for you to get hired in 2017. Virgos who are into new business ventures will successfully execute their startup plans. While the employed ones and existing entrepreneurs will have a generally favorable year. Virgo Career Forecast shows that in 2017, higher ups will keep their eye on you. Your diligence will not go unnoticed. However, many Virgos prefer to stay in the background, fearing they may not live up to expectations. Be more assertive and visible this year because you deserve to be promoted at work more than anyone else. Virgos prefer the slow but sure way to success. Times are changing and business world evolves at a fast pace. Do not get left behind by your competitors. Learn to adapt to changing times. Take risks and be open to changes. Analyze your business’ strengths and weaknesses. Come up with a strategy for expansion and open yourself to the idea of getting new investors. Virgos who are in still in school can expect a smooth sailing year. 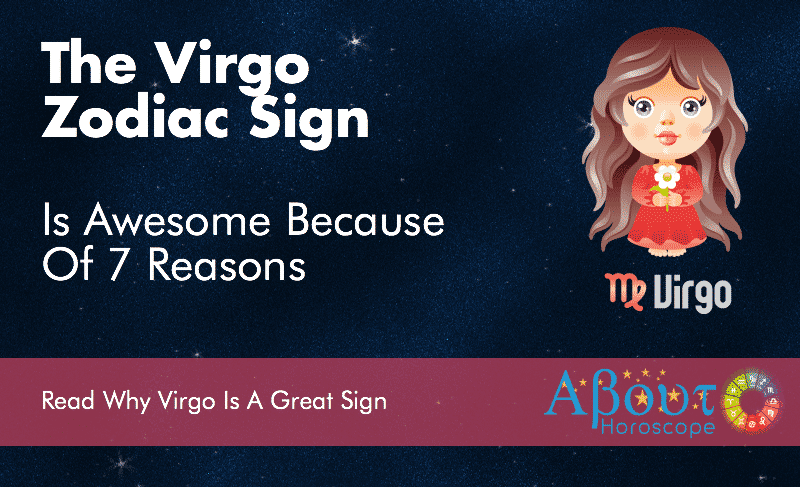 Virgos are a dedicated students who possess all the abilities to excel in school. You are too young to worry too much. Enjoy your school life and distance yourself from unwarranted fears. You tend to worry too much even if there’s no reason to fuss. This can cause health problems in 2017. Find the right balance between your mind and body. Meditate to help you relax and get fit to help you cope with the demands of you work this year. There will be plenty of tasks lined up for Virgo. Learn to delegate so you won’t overwork yourself. Squeeze in family vacations to help you unwind and recharge. A change of pace and scenery will do wonders to your soul. Do not let your work take over your life. Keep in mind that Virgo governs the digestive system. You are prone to stomach ailments. Find ways to beat stress and anxiety. Get enough sleep, eat the right kinds of food and exercise regularly. Financial outlook for Virgo indicates stability in 2017. An increase in income is also foreseen. Virgos are meticulous even in financial matters. You have always been careful with your money. You will be able to settle loans and credits too. Have the confidence to grab the opportunities that will come your way. Write down your financial goals now. Use it as screensaver, so you will be motivated to stay on track especially when your confidence level flails. As your earnings grow in 2017, your investments and bank account will grow as well. Your hard work will be compensated well in 2017 in the form of salary raise or increase in business profits. There’s also a possibility for you to receive inheritance. All in all, the financial outlook for Virgo in 2017 is favorable. January – You will focus on shedding all the extra pounds gained during the holiday. Virgos would want to start the year right by getting back in shape. This will be a wise move because you will need a sound mind and body to cope with the challenges 2017 will bring. February–Things will be busy at the work front. Take it easy so you won’t buckle under pressure. Your social life will be active this month. This is good because you will be able to relieve stress from all that hard work. Be on alert for someone who will play an important role in your love life. March– Treat yourself to a short vacation or a day at the spa. Put your fears to rest and de-stress because your health will be at risk if you don’t. Hang out with your BFFs. Laugh out loud with them and take your mind of work. April – It’s time to shine! Seniors will consider you for promotion. Step up and be noticed. Do not hesitate or you will be passed over. The stars favor you this month so go all out in love, life and career. May–Continue pursuing your career goals. Aim for the top because that’s where you’re heading. Remember, do not be too hard on yourself. Over analyzing will only derail you. Stay positive, to appreciate the good things coming your way.Stay focused and be confident with your abilities. June–A promotion and increase in pay awaits you. It’s a good month to execute plans to innovate your business. Study joint venture offers carefully. Virgos who are currently involved will have to evaluate their relationships. If you are facing a dead end, it’s best to move on. July – Career will continue to be on the upswing. Although your pacewill slow down a bit, things will continue to be favorable. Business owners can look forward to signing profitable deals in July. This is also a good month to spend time with your family, partner or friends. August–You will seek to mentally and spiritually recharge this month. After burying yourself neck deep with work, you will give yourself a much deserved break. Use this opportunity to re discover yourself. Single Virgos are bound to meet their match. September – Things pick up their pace at work again. Being promoted has its perks and challenges. Relationship with your colleagues will be highlighted this month. Learn to cut them some slack and avoid being too critical of them. Be realistic with your expectations and try not to be an overbearing boss. October–Single or attached Virgos will have a strong urge to hastily enter into lifelong commitment or jump into a whirlwind romance. This is so out of character for you because you are very cautious when it comes to love. Do not rush, this feeling will pass. November – Brace yourself for delays in projects due to missteps of your people. Stretch your patience and be careful with your words. You will be able to straighten things out in no time. Get active and find ways to de-stress. Go for 20 minute walks, get into a new sport or hit the gym. December–It is time to celebrate with family, loved ones and friends. Toast your amazing journey in 2017. Be grateful for every wonderful blessing you received. You will end the year with a bang. Cheers to you for a job well done! Virgos are innate planners and worriers. You are skilled yet scared that your abilities would not suffice. It is perfectly okay to make mistakes, so avoid being too critical of yourself. Your disciplined approach will enable you to reach new heights this coming year. 2017 has a lot of opportunities in store for you, so be ready to take on challenges without fear. Before 2016 bids goodbye, start defining your goals for the coming year. Resolve to believe in yourself come what may. Do not leave room for self-doubt. Rise up and be fearless. Conquer 2017!